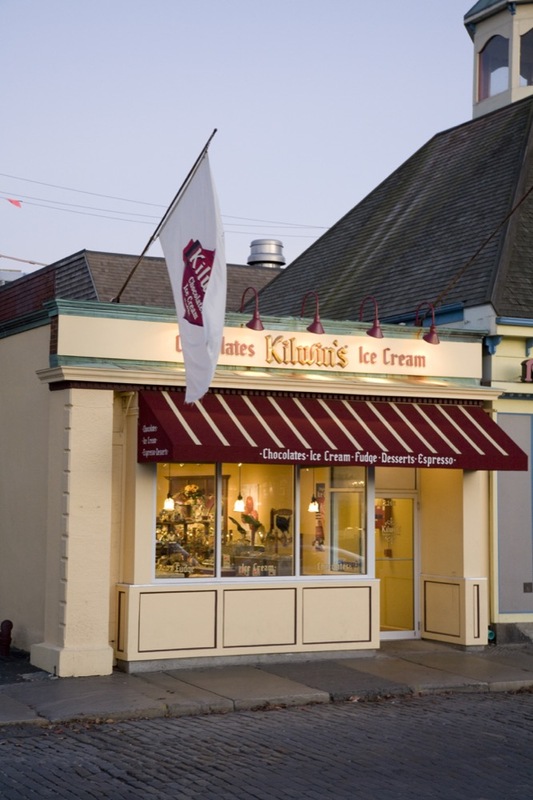 Kilwins of Newport, Rhode Island is located in the center of town on Thames Street directly across the street from Bowen's and Bannister's Wharfs. Our central location makes us a must visit destination for the tourist population during the warmer months or for the locals during the holiday seasons. We pride ourselves on exceptional customer service and the finest ice cream/confections you will ever enjoy. Newport, Rhode Island is conveniently located between New York city and Boston, and is renowned for its historic mansions on Bellevue Avenue, beautiful beaches and historic charm. Once home to the America's Cup sailboat races, Newport has a thriving Arts, Music and entertainment community. Home to the Tennis Hall of Fame and numerous world class sailing events, Newport is considered by many to be one of the finest summer destinations in the world that once catered to the likes of the Rockefellers, Astors, Doris Duke and a host of Americas first industrialists. Today, Newport is a favorite playground and destination for millions of people from all over the world. Stop in to see us at 262 Thames Street to sample our latest creations, find that perfect gift or to have your favorite ice cream flavor you have been searching for. We are always cooking up something special and welcome you to stop in for a sample or two:) We welcome your emails and phone calls and can ship our freshest confections anywhere in the world. We are always looking to hire energetic and passionate people to work in our store. Summer employment searches should be done no later than April or early May and year round positions are available on an as needed basis. Please email or call the store if you are interested in working in a wonderful and high paced environment.